An official source at the Ministry of Health has informed Atheer that the ministry has contacted a group of 43 pharmaceutical graduates to start work next week. The source said that the ministry is currently looking for alternatives in the field of nursing to replace the expatriates workforce, with a group of nursing graduates to he appointed in the coming weeks. 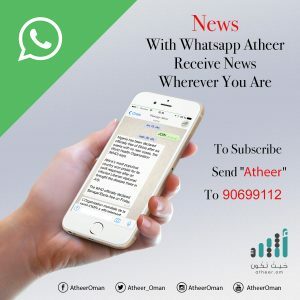 Atheer Arabic recently published a piece on the fact that a number of pharmaceutical graduates were still waiting to be employed in place of expatriates.